Atamer Law Firm is specialized in Turkish Criminal Law, criminal defense and cyber law. Our boutique law firm has been providing legal advice and defense services for his clients from different countries for over 15 years specifically in criminal law and cyber law matters. Atamer Law Firm team members consist of English speaking Turkish lawyers, experienced criminal defense attorneys and cyber law experts. The primary expertise area of Atamer Law Firm is Turkish Criminal Law and as well as Turkish Criminal Procedure and criminal defense law. We have superior experience and practice in criminal law. Atamer Law Firm is specialized in criminal law and criminal defense services. We have been providing representation and defense services for our clients for over 15 years. We have been providing legal advice and consultation on criminal law matter, in-person and via phone or email. Our criminal defense attorney team is ready to respond to your questions. Our criminal lawyers and defense attorneys have vast knowledge and significant trial experience in representing and as well as defending clients in criminal cases and trials. Atamer Law Firm is also expert in the field of Cyber Law that focuses on Internet regulations, cyber crimes, computer crimes, data protection, e-commerce, and content removal issues. Contact us to learn more about our firm and the legal services we provide. Atamer Law Firm provides comprehensive legal support and solutions for his clients. If you need legal advice about Turkish Criminal Law, or if you are under investigation or accused and looking for an English speaking Turkish lawyer please visit our contact page to get more information or to arrange an appointment. 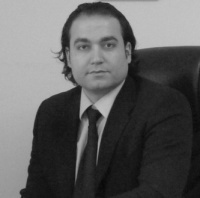 Click here to view the resume of Ilker Atamer and to learn more about the founder partner and the manager of Atamer Law Firm.